It’s that time of the year again for the kiddos to head back to school. Somewhere between bus/carpool schedules, sports practices, club meetings and other afterschool activities, not to mention the usual life tasks of work, laundry and housecleaning, you still have to find a way to provide snacks. 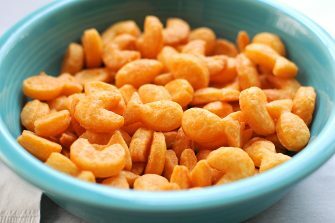 It’s easy to fall into a rut with pre-packaged snacks. They are quick, easy and often on sale at the grocery store. However, many are also high in sugar, salt and/or fat. Some are little more than candy disguised to look healthy enough to ease the mom-guilt. With a little planning and preparation, you can avoid this trap and still provide healthy, fun snacks for yourself and your family. Preparing snacks at home will help you reduce the needless additives, colorings and dyes your family consumes. Often, it can be more economical as well. There are many snack options and recipes that can be found online. Some are healthier than others. J So always use your discretion as to which ones to try and what modifications to make. Of course, always follow food safety guidelines and keep your family’s specific nutritional needs and restrictions in mind when selecting foods, (regardless of if you will prepare them or if they are pre-packaged). We’ve searched the internet and found a few ideas for you to try. 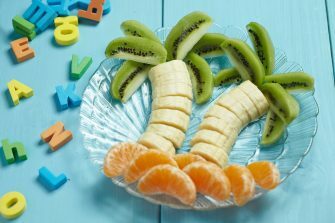 Read on and let these recipes spark your creativity in the kitchen for making healthy snacks your family will love! Check out this post from “Healthy Eating Starts at Home”. Not only can these little sandwiches be made ahead of time, they can also be frozen! Then pack as many as you need, a couple for a snack, more for a lunch. Kristen at “Make the Best of Everything” noticed the higher sugar content in pre-packaged yogurt marketed for kids. She came up with a DIY version that even allows for some extra veggies to be snuck in the snack! When your bundle of energy is running low, grab a few of these to get your second wind. 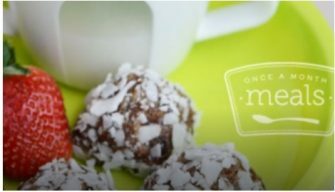 Melissa with Once A Month Meals shares her 5-ingredient recipe for Balls of Energy. After flash freezing, put them in snack size portions and for easy grab and go use later. You can add flax, chia seeds or other dried fruit according to your family’s taste preference. Lisa Le, the VietVegan shares a tasty treat. 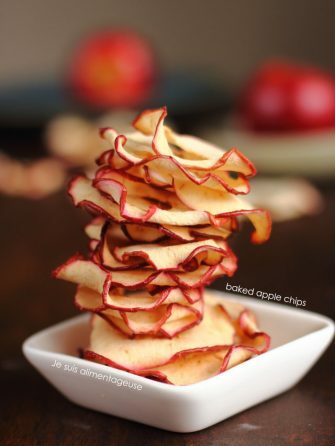 While these do take some prep and baking time, they will store well and make a great alternative for chips or a snack to satisfy the sweet tooth. All this, without the added preservatives from the pre-packaged chips you find in the store. Kids love finger food. They may be green, but with a sweet crunch, your kids will forget they are eating a vegetable! 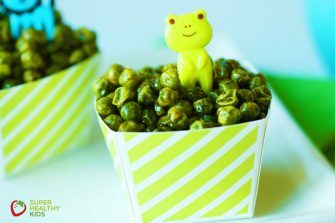 Super Healthy Kids shares a recipe for Crunchy Roasted Green Peas that requires little prep. 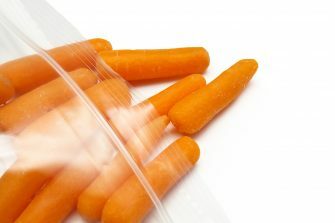 Once they cool after cooking, they can store in an airtight container for on the go snacking. 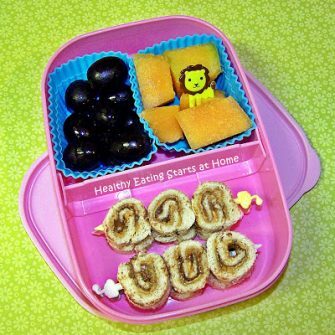 Amy Johnson from “She Wears Many Hats” has a great snack that you can get the kids to help prepare. With only 5 ingredients they give you flavor without all the processing additives in pre-packaged snacks. Since many kids love to help cut out cookies into shapes, you can get them involved with tiny cookie cutters, DIY cutters or large icing tips to provide an endless options of shapes. With a yield of 7 servings, you can have a week’s worth of snacks done in one night of cooking fun with the kids. For those times you don’t have the energy to do a great deal of prep, simply grab some fresh fruit, wash and put in individual snack size containers. Something about being in a small container just seems to make it taste better to kids. Carrots & celery, berries & grapes, mix up whatever your family’s favorites are and put them in a small bin in the fridge. 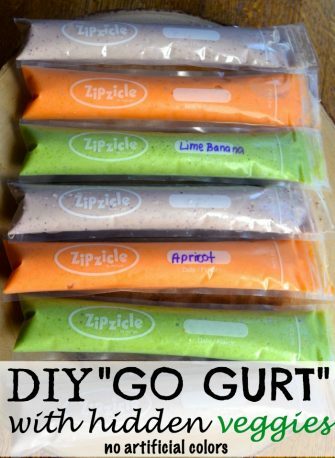 They are ready to grab and go, whether it’s to finish out a lunch box or snack at school or if you need a little snack after school/work while you prepare dinner.